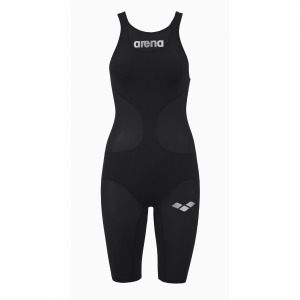 The Arena ladies Biglogo One swimsuit has as its name suggests a big logo on the front! Also it is made from just one piece of fabric. 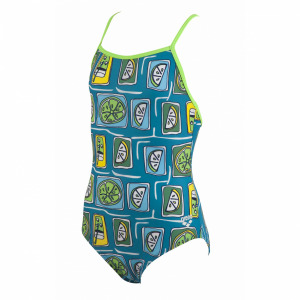 The ONE has deep cut outs on the waist so from the back the swimsuit almost loooks like a bikini. The logo is fluo red and this extends through to the straps at the back.